Our family loves to travel. We have taken short road trips to visit relatives, long road trips to national parks, airplane trips across the country, and we’ve even ventured abroad. My kids have been raised to travel from a young age, and they love exploring new places almost as much as their dad and I do. But many of these family adventures could have turned into disasters had we not taken some important steps. Looking back at our family trips that were the least stressful (and the most fun), two things stand out: first, a lot of planning was involved, and second, we never lost focus of our purpose. Old Ben had it right when he said, “By failing to prepare, you are preparing to fail.” Now that doesn’t mean planning for everything under the sun, but it does mean that providing structure can help avert disaster. And yes, this may mean adding more work on the front end, but the payoff is worth it. Think about what your children enjoy doing that can be done in a car or on an airplane, and create blocks of time to help the time pass quickly. Games. Many games come in portable sizes. Learn card games before the trip, and video games can be an option, too. There’s also license-plate bingo, or making up goofy songs about the state you’re traveling through. Rotate toys or activities, so things are new enough to be interesting. Even for older kids and teens, limiting screen time to certain periods of time during the trip can maintain interest in other activities. Surprises. These can be anything from reading off a random fact every hour to special snacks, to handing out small wrapped items as “trip presents.” Anything that breaks up the monotony. Maps and directions can allow children to help navigate during the trip. Mileage charts between stops and rulers give opportunities to measure distances between cities or stops on the way. 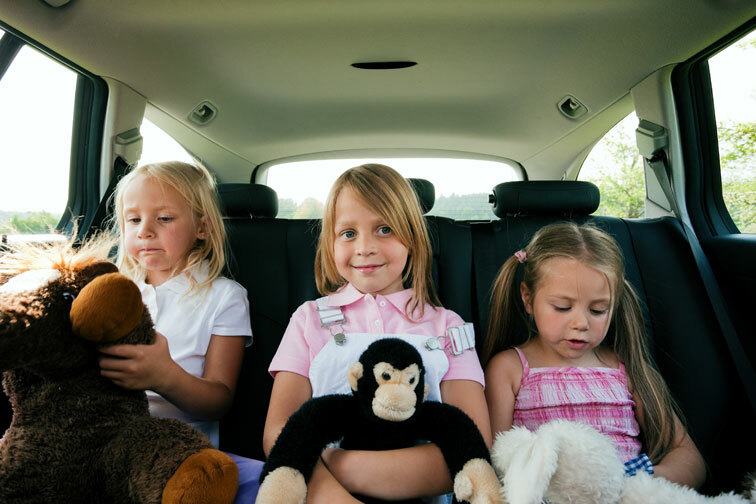 Considering all of the unplanned things that can happen during a road trip, it can be easy to get off track as a family. Unexpected expenses pop up, heavy traffic or flight delays push travel behind, someone decides to throw a tantrum, someone else decides it might be funny to throw a favorite toy out the window, the list goes on…. When these events occur – and they will – you will handle them. What makes the difference is how you handle them. Traffic can be stressful, delays can be frustrating, and child misbehavior can push you over the edge, but it’s important to hang on to the purpose of your trip. Are you traveling to see family? Have an adventure with your children? Breaking away from your routine? Whatever the purpose is, remind yourself of the reasons for your travels so you don’t get sidetracked into turning a memory into a mistake. Keeping the purpose in mind allows you to reframe the situation, maintain perspective, and take a deep breath. Most importantly, it allows you to keep having fun! « This Mom Won’t Stop Until She Gets This In Every Store » Featured Dad Post: There’s Nothing Under Your Bed. Except Me.